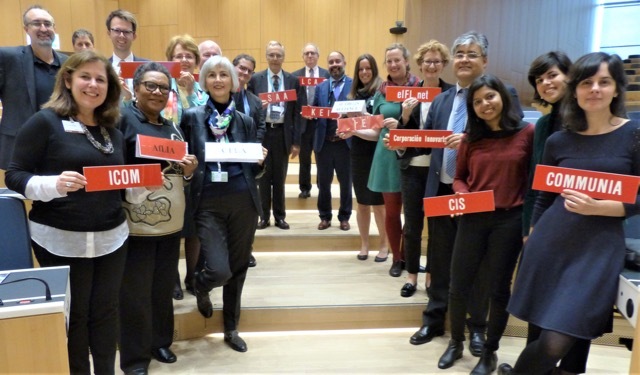 In order to fulfil the Action Plan on L&E, and in addition to the two bi-annual meetings (Geneva, 1-5 April and 21-25 October), the SCCR will host in 2019 a) three regional seminars on limitations and exceptions in Asia-Pacific (Singapore, 29-30 April, to be announced), Africa (Kenya, 12-13 June, TBA) and Latin-America (Dominican Republic, 4-5 July, TBA); and b) an international conference on exceptions and limitations (Geneva, 17-18 October). As we reported before, while the Global South tries to push forward the agenda on exceptions and limitations to copyright, the Global North – particularly the European Union, which does not show signs of softening its position – avoids proceeding with such discussions at the international level. Thus, whether the regional seminars and the international conference will advance, or not, the Committee’s agenda depends on how much the SCCR Chair and WIPO Secretariat are willing to move beyond this North-South divide, and use these events to understand the challenges copyright creates for cultural heritage institutions and for the education and research communities. If the aim of the regional seminars really is to analyse the situation of these institutions and individuals with respect to limitations and exceptions, then they should focus on the type of analysis that is typically part of a policy impact assessment: the criticism raised by the potential beneficiaries of the exceptions towards the existing copyright framework in the region; the actions carried out by the these beneficiaries on a regular basis; the copyright-related restrictions encountered by these stakeholders; the legal uncertainties and obstacles encountered in the region; and the cross-border issues. In sum, for these regional events to have a positive impact on WIPO’s L&E agenda, the SCCR Chair and WIPO Secretariat have to make sure that the potential beneficiaries of the exceptions (educators, learners, researchers, librarians, etc) in these regions attend the events and share their experiences about how copyright restrictions impair their daily activities. They also have to make sure that regional academics and public interest advocates participate in the events, since they are best positioned to help setting the scene with regards to those obstacles that are not visible by the practitioners due to a lack of understanding of the legal framework or due to a lack of enforcement of the copyright laws. One year ago, we said that our role at the SCCR was to support the dialogue on the agenda item dedicated to limitations and exceptions for educational and research institutions. While that is still our main aim, in 2018 we also participated in the discussions around the draft Broadcasting Treaty and stepped into the discussions on the agenda item dedicated to limitations and exceptions for museums – in both cases, to defend users and the public domain. At the SCCR/36, which took place in May 2018, a couple of months after the release of our study on educational licenses, we argued that the claims made by the rightsholders that the needs of the global community of educators, learners and researchers could be solved through licensing were not true. Indeed, there are currently no laws preventing parties from entering into licensing agreements, and yet licenses are not being used as a solution, because they simply do not exist in many markets or they are expensive and/or they act against the best interests of educators. In addition, at a lunch time event titled “How WIPO Can Contribute to Achieving the Right to Education“, co-hosted by the Indonesian Delegation to WIPO and Education International, we presented some of the unfair terms and conditions found in educational licenses from different EU countries and argued that giving priority to licenses over copyright exceptions could exacerbate this problem. We further claimed that fair laws and licensing could coexist, since exceptions only allow minimum uses with no market impact. This argument was corroborated by Prof. Michael Geist, who presented evidence collected from Canada that “indicates that fair dealing can co-exist with a successful commercial publication market”. Ahead of the SCCR/37, which took place in November 2018, we endorsed the Civil Society Proposed Treaty on Copyright Exceptions and Limitations on Education and Research Activities (TERA), which aims to establish minimum standards for copyright exceptions for educational and research purposes, while at the same time affording countries significant flexibility in how to implement these obligations. By endorsing this treaty we wanted to accelerate the text-based work of the SCCR, and we are hoping it can inform the discussions that will take place in the regional seminars. At SCCR/36 we did our first incursion into the agenda item dedicated to discuss the protection of broadcasting organizations. We urged the Committee to engage in discussions aimed at ensuring the protection of the interests of users, asked for a treaty with mandatory exceptions and limitations that protect legitimate practices, and argued that no rights should be given in works that are in the public domain or that are openly licensed. At SCCR/37, echoing the words of Prof. P. Bernt Hugenholtz, we asked the Committee to ponder that the changes in this industry are occurring so fast that it seems extremely difficult to overcome certain definitional problems around the subject matter of protection and the delimitation of the group of right holders. We also took part of the lunch time event titled “Civil Society Views on the proposed WIPO Treaty for the Protection of Broadcasting Organizations“, hosted by Knowledge Ecology International. Here we presented the reasons why the draft Broadcast Treaty is considered problematic for user rights, and once again argued that the draft Treaty would violate the rights of users in accessing freely-licensed and public domain materials, as well as the rights of creators who wish to have their works travel freely without additional strings attached, if broadcasters had rights over the broadcast signal of works that are in the public domain, of works that are not subject to copyright, and of works that are openly licensed. Finally, at SCCR/37 we also intervened in the agenda item dedicated to exceptions and limitations for libraries, archives and museums, following the presentation of a report on copyright practices and challenges of museums by Dr. Yaniv Benhamou. Two findings in the report drew our attention: 1) that few difficulties had been reported in relation to the copyright status of digital copies of original works, and 2) that most museums interviewed permitted photo-shooting by visitors. We inquired Dr. Benhamou to explain these results because it is our understanding that 1) there’s legal uncertainty and cross-border problems, at least in the EU, regarding the different legal treatments of faithful reproduction of works in the public domain, and 2) in many countries it is still not common for museums to allow visitors to photograph the exhibited works, even if they are in the public domain. Dr. Benhamou replied that he too was aware of these problems, and if the preliminary report did not reflect them was probably due to the fact that it was based on interviews with only 37 museums worldwide. In sum, 2018 was a good year to spread our views on users rights at this international forum, and 2019 is set to be the busiest year we have ever experienced as observers of the SCCR. Communia is ready for it, but we hope to be joined by more users and public interest advocates, in the different regions where the Committee is planning to bring these discussions. Only with local and regional support can we aim to rewrite international copyright laws for the benefit of rightsholders and users alike. This entry was posted in international policy and tagged copyright, copyright reform, exceptions and limitations, fixcopyright, Public Domain, wipo. Bookmark the permalink.